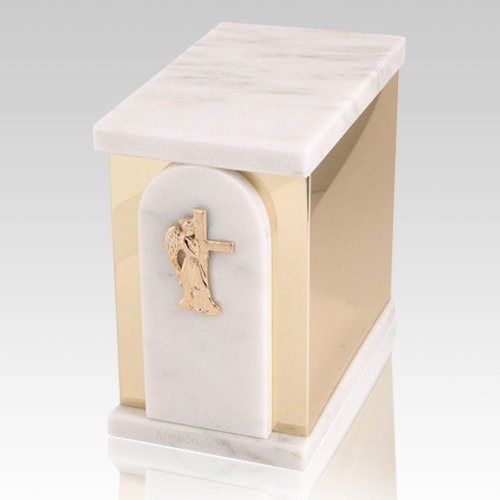 The Trinity White Danby Marble Cremation Urn is made of premium materials. The urn is made from finest hardwood and encased in golden metal the final and magnificent touches are the marble top and bottom. The urn has 24k gold plated decoration option and the bottom has felt to protect the surface were the urn rests. This wonderful natural stone urn will create a dignified resting place for eternity to come.